The narrative technique used in the novel “A Room with a View” is the omniscient point of view. The narrator has ensured that he manages to be intimate with many characters at the same time. Simultaneous management of characters ensures that the narrator remain objective and still be outside the action. Foster allows readers to visualize the inner lives of the main characters, for instance, readers are able to see into the thoughts of George, Mr. Beebe, Lucy and Cecil. By using the omniscient point of view, Foster maintains a perspective that ensures readers are aware of the ridiculous nature of some of the events in the novel. This perspective also make sure that readers are both emotionally invested in the outcome of Lucy’s story, and at the same time be able to intellectually picture out the ludicrousness of the society described in the novel. Foster goes ahead and makes important use of commentary on the surroundings of the characters, for instance, the narrative voice takes a pause from the story so as to address the readers directly. The readers thus are able to realize that Lucy is in love with the young Emerson. When acted, the character in Lucy’s place would not be able to realize what is going on; this ensures that readers have a heightened awareness of the writer to reader rapport set up by Foster. From our external point of view, readers can see that Lucy loves George and Foster can see it too, though this fact is hidden from the characters themselves. Further, Foster’s style of narration is in between optimism and uncertainty. In several instances, he is trying to show and describe something but means something else. This is evident when he begins with a particular vision, only to have it affected by frightening ways, and the reaffirms it. In addition, Foster does not like revealing an opinion about a character, the reader is expected to make their own understanding. At the start of the novel, foster shows Lucy’s immaturity through his narrative techniques. The reader is able to realize that Lucy is developing into a more mature character, for instance, her break up with Cecil show that she can now make independent choices in life and be responsible for the consequences. This is outlined through the vision of art. The omniscient point of narration provides a fine example of the highly visual nature of the narrative style and Foster’s dwelling of the gaze on characters, especially the male ones. It is quite evident that Foster favours Mr. Emerson and therefore there are no criticisms against him. Characters in the play receive full lengthy physical description, however, foster shows that he is not that biased towards Miss Bartlett. He subtly criticizes her in his narration. In conclusion, the narrative style affects the relationships between readers by easily favouring the character or by criticizing characters leaving the readers to make their own opinions. The narrative style in this novel affects the situation by connecting it to something that the audience can refer to, for instance, art and music. As a result, a much more vivid image of the situation is created in the readers mind. 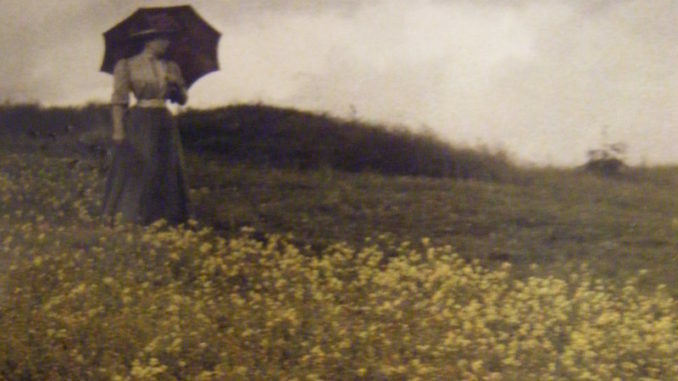 A short essay on the novel “A Room with a View” by E.M.Forster.